Oklahoma’s amazingly diverse flora has long been of interest to state residents. 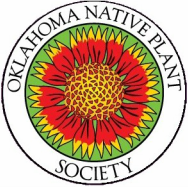 In 1987, individuals from throughout the state founded the Oklahoma Native Plant Society to encourage the study, protection, propagation, appreciation, and use of the state’s native plants. The society’s varied activities (field trips, lectures, workshops, displays, inventories, and roadside plantings) promote an awareness and understanding of some of the state’s most valued treasures. Botanically, Oklahoma is a remarkable state! Located at the juncture of several physiographic provinces, it is indeed an ecological crossroad. Within its borders are found ~175 families, ~870 genera, and approximately 2,600 species of vascular plants—flowering plants, conifers, ferns, horsetails, and clubmosses. This flora is a complex assemblage of plants representative of different phytogeographic regions. Species characteristic of the eastern deciduous forest and central grasslands are the most common; however, species from the Rocky Mountains, the Chihuahuan and Sonoran Deserts, the Gulf Coastal Plain, and the Ozark Mountains also occur in the state. Fourteen different vegetation types are traditionally recognized. This tremendous diversity of plant species and communities reflects the considerable variation in the state’s climatic, physiographic, geological, and edaphic features. A plethora of different habitats for plants are present. More information about the flora of our great state can be found at the Flora of Oklahoma Project page. The photos seen above were submitted by our members on our Facebook page. Click on the Facebook icon at the bottom of the page to see many more photos and to submit your own. Our Facebook page is a closed group, so you'll have to ask to join. Order your 2018 volume of the Oklahoma Native Plant Record. Click here for details. planting ideas. The meeting will be held in room 196, Horticulture Building, OSU-OKC campus, 400 N. Portland Ave, OKC. Doors open at 6:30 for socializing, the talk will start at 7:00. WOW - Wonder of Wildflowers weekend of April 26-28 at Lake Wister State Park and Kerr Center for Sustainable Agriculture. Click here for more details. Sunday May 5 Picnic at Prairie Wind, Norman. The much acclaimed and highly regarded annual Central Chapter picnic and social gathering will be on Sunday, May 5th at 2:00. We’ll meet again this year at the Prairie Wind Nursery, 929 Goodman Lane, Norman, 73026. Burgers and hot dogs will be provided. There is usually a smorgasbord of wonderful side dishes brought by the members. Plan to bring one of your favorites, grab a friend and join us! Join the Northeast Chapter for Fabulous Wildflower Fridays, every third Friday of each month at 5:30pm at Panera Bread at 41st Street and Hudson Avenue. Contact Constance Murray for details.